Some Piperazines have recently been scheduled in some Australian states and in the USA. While use and abuse does not appear to be widespread in Australia, it has surfaced in some states as a product on its own, in mixtures with other legal or illegal drugs, or as a hidden admixture in ecstacy tablets. Please note that at the time of writing this some Piperazines are scheduled in WA and Qld. DISCLAIMER: These pages are designed as information only and should not be used as a scientific or medical guide. We have compiled this information from many sources and have tried to screen it for validity and accuracy, however we cannot guarantee their absolute correctness and cannot take any responsibility arising out of the use of this information. A group of substances based around the core structure of Piperazine. Piperazines are NOT derived from plants of the Piper genus as is often claimed. The basic Piperazines are used as worming agents in human and in veterinary medicine (paralysing the worms so they are flushed out by peristalsis), but are now banned for this purpose in many countries. They are also used as an unapproved method of eliminating uric acid from gout and rheumatism sufferers. Some of the more complex Piperazines are used for various other therapeutic purposes - usually in very small quantities (too low to establish any psychoactive effects). All known psychoactive Piperazines are derived from Piperazine and benzyl chloride or a substituted form of benzyl chloride. 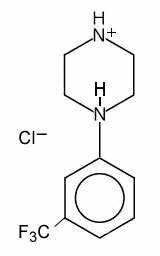 While Piperazine is a fairly common chemical, benzyl chloride (and the substituted benzyl chlorides) are highly 'watched' as they are used in the manufacture of amphetamines. Even in states where Piperazines are still legal, it is not advisable to procure the benzyl chloride as this will surely lead to an invasion of your privacy. Why are they called Piperazines? As mentioned before, Piperazines are not know to occurr naturally. The name suggest occurrance in plants of the Piper genus, but this is not so. As the Pipers are pepper plants (as in black pepper and kava), some people have also erroneously claimed Piperazines to be derived from Bell peppers and Chili peppers (Capsicum spp.). Capsicum spp DO NOT contain piperazines either. To understand why they are called Piperazines, we need to look at the closely related compounds in Piper spp. These contain an alkaloid called Piperine, which turns into Piperidine when extracted in basic conditions (compare the top of the Piperine molecule with Piperidine). Chemists often name a 6 membered cyclic compounds with two nitrogens in the ring to be an azine. Essentially Piperazine is the corresponding azine of Piperidine - hence the name. However Piperazine is not made from Piperidine. Azines are usually made from C=O functional groups and thus a suitable starting compound for making Piperazine is probably benzoquinone (could not find any reference for this, so purely speculative). In commerce Piperazine is usually manufactured by reacting 1,2-dichloroethane with alcoholic ammonia. It can also be manufactured from pyridine. Note: Piperine (piperyl piperidine) is an interesting molecule for other reasons too. It has the important methylenedioxy ester arrangement that makes safrol and piperonal so desirable. In fact, piperine can be used to produce piperonal, which used to feature in clandestine MDMA manufacture. Piperonal is an important chemical in the perfume/deodoriser industry. Many Piper species (eg Piper auritum) contain safrol itself too.